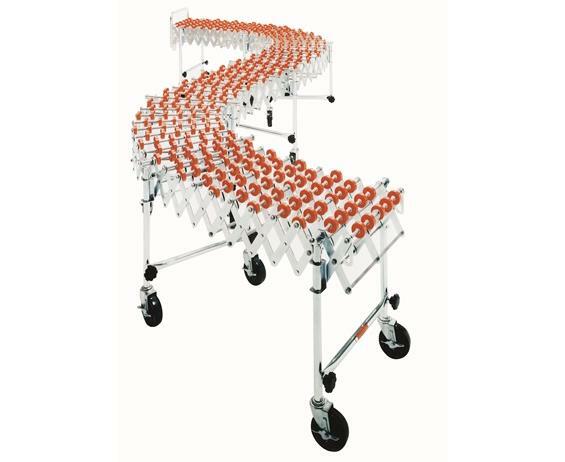 Expands, contracts, twists and turns to provide flexible conveyor use. 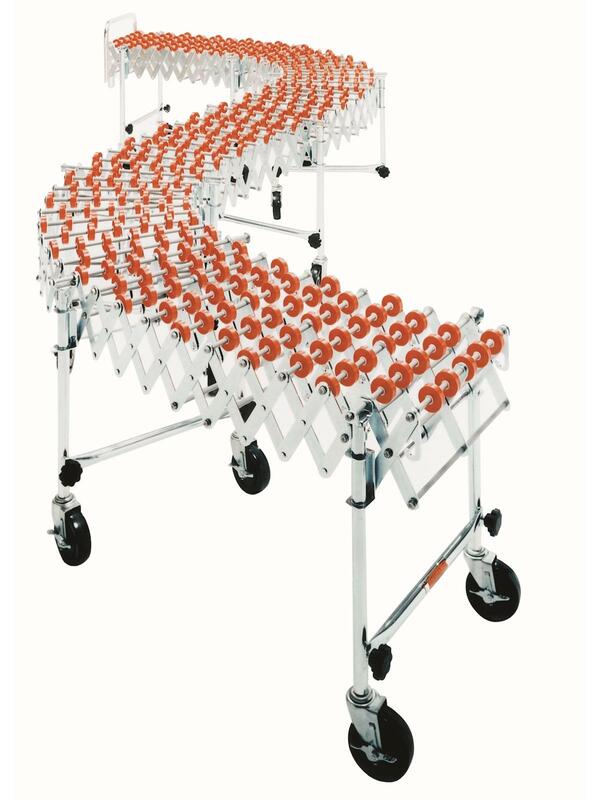 Sets up in seconds, folds up for space-saving storage. Expands to 4 times its length. Twists around corners and obstructions. Sections bend in either direction around a 21" radius. Rolls on long wearing 5" x 1-1/2" rubber swivel casters with foot locks. Heavy duty tie rods. Height adjusts from 28" to 44". Includes 1 box stop and 1 set of hook couplers per unit. FOB Shipping Point. See Related Items tab for optional extension.